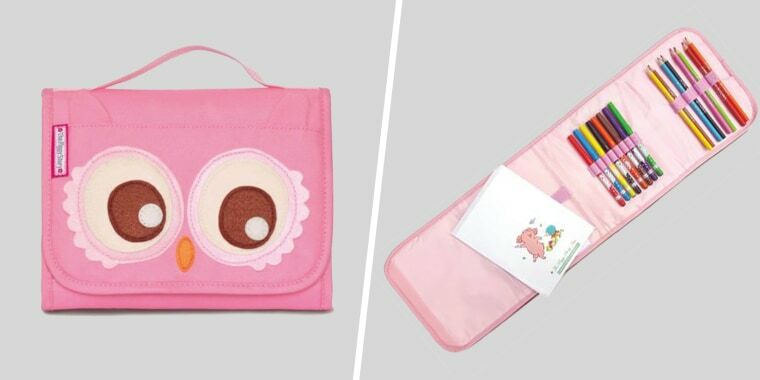 It comes in an adorable owl shape and are equipped with pencils, markers and paper. Today only, The Piggy Story is offering 40 percent off their Carry & Go Art Kits for children. Originally priced at $25, you can purchase the owl-shaped kit for $15. There's no discount code needed! These on-the-go kits are perfect for airplanes, restaurants and even cars! They can easily fit in carry-on bags, purses and car seat pockets, while still providing hours of entertainment and creativity for the little ones. Each kit comes with eight slim washable markers, eight colored pencils and 50 sheets of art pad paper. For more ideas on how to keep your kids entertained on airplanes, read this article here!